Playing today in the 'rock room' is a introspective singer songwriter classic.Released in January of 1972, Paul Simon’s self-titled solo album initiated his later extended travels into and through world music, while becoming an introductory document into his prolific 1970's output. 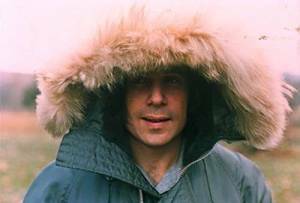 Paul Simon contains its share of new explorations, but is also filled with deeper, acoustic ruminations that recall his recently dissolved partnership with Art Garfunkel. As such, it plays as a statement of independence, but also as well as a self reassessment of Simon’s own musical standing. Simon’s 1965 release Paul Simon Songbook is his original and initial solo venture, recorded prior to the Simon and Garfunkel partnership. 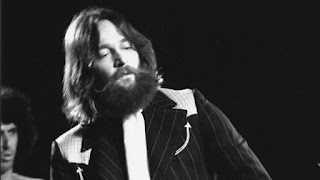 But it was this 1972 project that signaled Simon’s first true departure into a solo career. 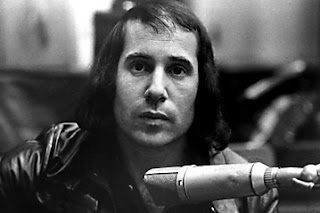 A conglomerate of unique island rhythms, spacious instrumentation, and Simon’s tasteful self analysis, Paul Simon is one of the first and finest singer/songwriter albums of the 1970s. The record opens on the jittery reggae influenced grove of the well known cut, 'Mother and Child Reunion' recorded at Dynamic Studios in Jamaica using Jimmy Cliff’s backing group. The kinetic track is known as one of the first to feature a mainstream rock artist using elements of reggae in a song. Female backing vocalists support Simon’s clean and glassy lyrical lines, and his absolutely addictive melody. The track would go on to be one of Simon’s most recognized and earned him deserved attention for his incorporation of what would later be known as world-music elements. 'Duncan', the second track of the album, contains one of Simon’s finest and most fascinating character analyses, telling the tale of a fisherman’s son journey of discovery. The tune spotlights Simon on acoustic guitar with Los Incas, the South American musical group who’d earlier collaborated on Simon and Garfunkel’s 'El Condor Pasa', contributing flutes and percussion. The song follows Duncan’s coming of age and learning of life from a new found female companion who teaches him the ways of faith and love. The diversity of the salty seashore instrumentation of drums and flutes once again illustrates how this early album was a breeding ground for Simon’s accelerating and diverse musical references. 'Everything Put Together Falls Apart' follows, and is a sparse commentary on the worrisome and painful situation created by a partner’s substance abuse. A mirror reflection in content of Neil Young’s 'Needle and the Damage Done', and composed around the same era, 'Everything' balances the same tightrope. A serious and firm warning is stated, contrasted by the rocking-chair acoustic lines that run parallel with Simon’s frank and undulating tunefulness. Continuing in the same thematic vein, the camera of inspection is turned back onto the narrator with 'Run That Body Down', a gently swinging piece of self analysis. The realities of age, physical condition and lifestyle are inspected, initiated by lyrical warnings from the wife and doctor, all set against an introspective musical backing. Simon’s pensive but self-encouraging vocal lines make the song, with the musical bed lending a plush pillow for Simon to rest his worn-out head. The first side of the album concludes with the exceptional 'Armistice Day', another stellar composition to be discovered in Simon’s collection of string-bending folk blues. Here gently alternating picking patterns shadow Simon’s tempered verses. Accompanied by percussionist Airto Moreira, the song dynamically enters a quasi-patriotic funk jam at its peak, as Simon travels to speak to his congressman. 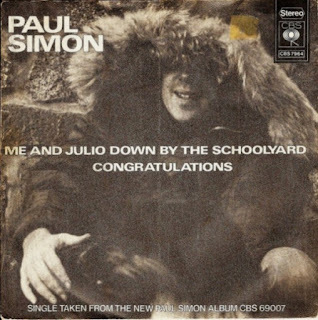 Flipping the disc, the second and even more introspective side of the record begins with one of Simon’s biggest hits and most popular songs: 'Me and Julio down by the Schoolyard' which also lends its central striding acoustic riff and central groaning bass to the influence of reggae. It’s the second powerful opener of the record. The tribal thumping groove was completely unique to hear on FM and influenced many musicians’ forays into international music. All of the elements that comprise a perfect rock song are on display here. 'Peace like a River' flows as a straight-forward blues, becomes a starry twilight verse, and continues a falsetto dressed, blurry-eyed ballad, born of sleepless New York City nights. Simon’s instantly recognizable finger picking delivers a flurry of buzzing low note strikes and elastic bends. 'Papa Hobo' continues with the intimate theme of the second side of the record, with an instrumentation featuring Simon’s simple acoustic, a carnival harmonium and creaky bass harmonica. The song is a Rockwell portrait, its imagery as vivid and timeless as a hand painted capture.Fittingly, 'Papa Hobo' is then followed by the instrumental 'Hobo’s Blues' , a brief ditty composed by the duo of Simon and famed violinist Stephane Grappelli and recorded in France. The quick interlude is a perfect jazzy match for the organic series of song created on side two. Possibly referencing Simon’s relationship with the 'big bright green pleasure machine', 'Paranoia Blues' is a bucket-kicking hand clapping stomp. Gritty horn interjections and silvery slide draw out the color as Simon sings and rattles percussion. The song nervously clicks and slides to the point of quaking like a wagon wheel about to fall off its axle. Concluding the record is the sly 'Congratulations', the title a sarcastic commentary on a deteriorating relationship. The lyrical content goes deeper, with Simon asking for peace while explaining the seriousness of the emotion of love. Plush blue keyboards work in conjunction with the understated backing by the band, adding up to a gentle R&B sway that makes for a fitting end. By the conclusion, it’s clear that Simon is developing the next stage of his life and his career with the recording of this record. The music contained in the LP grooves blends familiar contexts with a new direction, combining Simon’s creative past while still keeping a hand in the contemporary world. Simon follows his already successful muse, but allows for outer influences and interpretations to guide the direction of his numerous compositions. The result of his artistic attitude is a record as warm as its principal pictured on the jacket cover, snug in a parka, as a slight knowing smile crosses his lips.